In considering the evolution of modern Hinduism out of the old Vedic religion, three of the many factors responsible for this huge and complicated result deserve special attention. The first is the unusual intensity and prevalence of the religious temperament. This has a double effect, both conservative and alterative: ancient customs receive an unreasonable respect: they are not abolished for their immorality or absurdity; but since real interest implies some measure of constructive power, there is a constant growth of new ideas and reinterpretations resulting in inconsistent combinations. The second is the absence of hierarchy and discipline. The guiding principle of the Brahmans has always been not so much that they have a particular creed to enforce, as that whatever is the creed of India they must be its ministers. Naturally every priest is the champion of his own god or rite, and such zeal may lead to occasional conflicts. But  though the antithesis between the ritualism of the older Brahmanism and the faith or philosophy of Śivaism and Vishnuism may remind us of the differences between the Catholic Church and Protestant reformers, yet historically there is no resemblance in the development of the antithesis. To some extent Hinduism showed a united front against Buddhism, but the older Brahmanism had no organization which enabled it to stand as a separate Church in opposition to movements which it disliked. The third factor is the deeply rooted idea, which reappears at frequent intervals from the time of the Upanishads until to-day, that rules and rites and even creeds are somehow part of the lower and temporal order of things which the soul should transcend and leave behind. This idea tinges the whole of Indian philosophy and continually crops up in practice. The founder of a strange sect who declares that nothing is necessary but faith in a particular deity and that all ceremonies and caste observances are superfluous is not in the popular esteem a subverter of Hinduism. The history of both Śivaism and Vishnuism illustrates these features. Śiva begins as a wild deity of non-moral attributes. As the religious sense develops he is not rejected like the less reputable deities of the Jews and Arabs but remains and collects round himself other strange wild ideas which in time are made philosophical but not ethical. 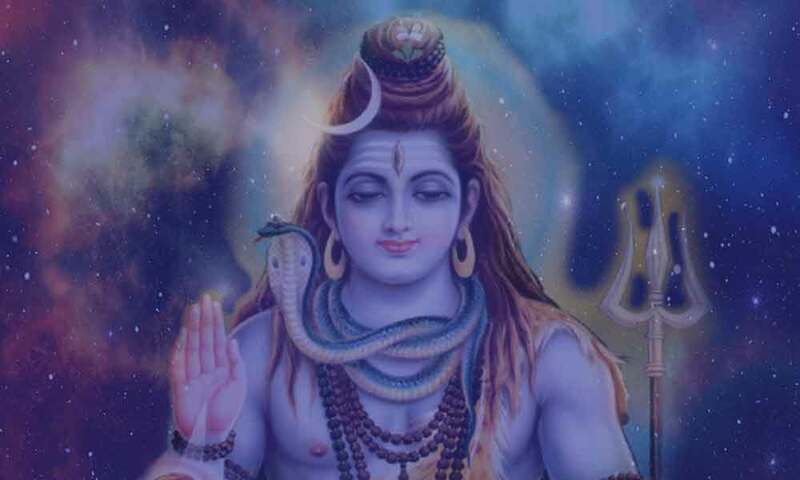 The rites of the new religion are, if not antagonistic, at least alternative to the ancient sacrifices, yet far from being forbidden they are performed by Brahmans and modern Indian writers describe Śiva as peculiarly the Brahman's god. Finally the Śivaite schools of the Tamil country reject in successive stages the grosser and more formal elements until there remains nothing but an ecstatic and mystical monotheism. Similarly among the Vishnuites Krishna is the centre of legends which have even less of conventional morality. Yet out of them arises a doctrine that the love of God is the one thing needful so similar to Christian teaching that many have supposed it must be borrowed. The first clear accounts of the worship of Śiva and Vishnu are contained in the epics and indicate the existence of sectarian religion, that is to say of exclusive devotion to one or other deity. But there is also a tendency to find a place for both, a tendency which culminates in the composite deity  Śankara Nârâyana already mentioned. Many of the Purânas  reflect this view and praise the two deities impartially. The Mahâbhârata not unfrequently does the same but the general impression left by this poem is that the various parts of which it consists have been composed or revised in a sectarian spirit. The body of the work is a narrative of exploits in which the hero Krishna plays a great part but revised so as to make him appear often as a deity and sometimes as the Supreme Spirit. But much of the didactic matter which has been added, particularly books XII and XIII, breathes an equally distinct Śivaite spirit and in the parts where Krishna is treated as a mere hero, the principal god appears to be not Vishnu but Śiva. The Mahabharata and Puranas contain legends which, though obscure, refer to conflicts of the worshippers of Śiva with those who offered Vedic sacrifices as well as with the votaries of Vishnu, and to a subsequent reconciliation and blending of the various cults. Among these is the well-known story of Daksha's sacrifice to which Śiva was not invited. Enraged at the omission he violently breaks up the sacrifice either in person or through a being whom he creates for the purpose, assaults the officiants and the gods who are present, and is pacified by receiving a share. Similarly we hear  that he once seized a victim at a sacrifice and that the gods in fear allotted to him the choicest portion of the offerings. These stories indicate that at one time Brahmans did not countenance his worship and he is even represented as saying to his wife that according to rule (dharmatah) he has no share in the sacrifice. Possibly human victims were immolated in his honour, as they were in Kâlî's until recently, for in the Mahabharata  it is related how Krishna expostulated with Jarâsandha who  proposed to offer to Śiva a sacrifice of captive kings. In the Vishnu-Purâna, Krishna fights with Śiva and burns Benares. But by the time that the Mahabharata was put together these quarrels were not in an acute stage. In several passages  Krishna is made to worship Śiva as the Supreme Spirit and in others  vice versa Śiva celebrates the glory of Krishna. Vishnuites do not disbelieve in Śiva but they regard him as a god of this world, whereas their own deity is cosmic and universal. Many Vishnuite works  are said to be revealed by Śiva who acts as an intermediary between us and higher spheres. In the following sections I shall endeavour to relate the beginnings of sectarianism. The sects which are now most important are relatively modern and arose in the twelfth century or later, but the sectarian spirit can be traced back several centuries before our era. By sectarians I mean worshippers of Śiva or Vishnu who were neither in complete sympathy with the ancient Brahmanism nor yet excommunicated by it and who had new texts and rites to replace or at least supplement the Vedas and the Vedic sacrifices. It is probable that the different types of early Indian religion had originally different geographical spheres. Brahmanism flourished in what we call the United Provinces: Buddhism arose in the regions to the east of this district and both Vishnuism and Śivaism are first heard of in the west. A considerable literature grew up in this school and the principal treatise is often spoken of as Pâncarâtra because it was revealed by Nârâyana during five nights. The name however appears to be strictly speaking applicable to a system or body of doctrine and the usual term for the books in which this system is expounded is Samhitâ. All previous discussions and speculations about these works, of which little was known until recently, are superseded by Schrader's publication of the Ahirbudhnya Samhitâ, which appears to be representative of its class. The names of over two hundred are cited and of these more than thirty are known to be extant in MS. The majority were composed in north-western India but the Pâncarâtra doctrine spread to the Dravidian countries and new Samhitâs were produced there, the chief of which, the Îśvara Samhitâ, can hardly be later than 800 A.D.  Of the older works Schrader  thinks that the Ahirbudhnya was written in Kashmir  between 300 and 800 A.D. and perhaps as early as the fourth century. It mentions the Śâttvata and Jayâkhya, which must therefore be older. The history of these Bhâgavatas, Pâncarâtras or worshippers of Vishnu must have begun several centuries before our era, for there are allusions to them in Pânini and the Niddesa. The names of Vâsudeva and Sankarshana occur in old inscriptions  and the Greek Heliodoros calls himself a Bhâgavata on the column found at Besnagar and supposed to date from the first part of the second century B.C. The Pâncarâtra was not Brahmanic in origin  and the form  of the Sânkhya philosophy from which it borrowed was also un-Brahmanic. It seems to have grown up in north-western India in the centuries when Iranian influence was strong and may owe to Zoroastrianism the doctrine of the Vyûhas which finds a parallel in the relation of Ahura Mazda to Spenta Mainyu, his Holy Spirit, and in the Fravashis. It is also remarkable that God is credited with six attributes comparable with the six Amesha Spentas. In other ways the Pâncarâtra seems to have some connection with late Buddhism. Though it lays little stress on the worship of goddesses, yet all the Vyûhas and Avatâras are provided with Śaktis, like the Buddhas and Bodhisattvas of tantric Buddhism, and in the period of quiescence which follows on the dissolution of the Universe Vishnu is described under the name of Śûnya or the void. It attaches great importance to the Cakra, the wheel or discus which denotes Vishnu's will to be,  to evolve and maintain the universe, and it may have contributed some ideas to the very late form of Buddhism called Kâlacakra. This very word is used in the Ahirbudhnya Samhitâ as the name of one of the many wheels engaged in the work of evolution. Though the Pâncarâtra is connected with Krishna in its origin, it gives no prominence to devotion to him under that name as do modern sects and it knows nothing of the pastoral Krishna. It recommends the worship of the four Vyûhas  presiding over the four quarters in much the same way that late Buddhism adores the four Jinas depicted in somewhat similar forms. Similarly the Śivaites say that Śiva has five faces, namely Îśâna or Sadâśiva (the highest, undifferentiated form of the deity) at the top and below Vâmadeva, Aghora, Tatpurusha, and Sadyojâta, presiding respectively over the north, south, east and west. It is thus clear that in the early centuries of our era (or perhaps even before it) there was a tendency in Vishnuism, Śivaism and Mahayanist Buddhism alike to represent the ineffable godhead as manifested in four aspects somewhat more intelligible to human minds and producing in their turn many inferior manifestations. Possibly the  theory originated among the Vishnuites,  but as often happened in India it was adopted by their opponents. None of these theories are of much importance as living beliefs at the present day but their influence can be seen in iconography. In these early times there were strenuous theological struggles now forgotten, though they have left their traces in the legends which tell how the title of Krishna and others to divine honours was challenged. Amalgamation was the usual method of conciliation. Several gods grew sufficiently important to become in the eyes of their worshippers the supreme spirit and at least four were united in the deity of the Bhâgavatas, namely, Vâsudeva, Krishna, Vishnu and Nârâyana. Of the first three I have spoken already. Nârâyana never became like Vishnu and Krishna a great mythological figure, but in the late Vedic period he is a personification of the primæval waters from which all things sprang or of the spirit which moved in them. From this he easily became the supreme spirit who animates all the universe and the name was probably acceptable to those who desired a purer and simpler worship because it was connected with comparatively few legends. But there is some confusion in its use, for it is applied not only to the supreme being but to a double incarnation of him called Nara-Nârâyana, and images of the pair may still be seen in Vishnuite temples. They are said to have revealed the true doctrine to Nârada and are invoked at the beginning of each book of the Mahâbhârata. One of the main theses of the Nârâyanîya  is the identity of Nârâyana and Vâsudeva, the former being a Brahmanic, the latter a non-Brahmanic name for the Deity. The celebrated Bhagavad-gîtâ  which is still held in such respect that, like the New Testament or Koran, it is used in law courts for the administration of oaths, is an early scripture of the Bhâgavata sect. In it the doctrines of Krishna's divinity, the power of faith and the efficacy of grace are fully established. It is declared to be too hard for flesh and blood to find by meditation their way to the eternal imperceptible spirit, whereas Krishna comes straightway to those who make him their sole desire. "Set thy heart on me, become my devotee, sacrifice to me and worship thou me. Then shalt thou come to me. Truly I declare to thee thou art dear to me. Leave all (other) religious duties and come to me as thy sole refuge. I will deliver thee from thy sins. Sorrow not." But the evolution of Saṅkarshana, etc., is not mentioned. The poem has perhaps been re-edited  and interpolated several times but the strata can hardly be distinguished, for the whole work, if not exactly paradoxical, is eclectic and continually argues that what is apparently highest is not best for a particular person. The Hindus generally regard the contemplative life as the highest, but the Bhagavad-gîtâ is insistent in enjoining unselfish action: it admits that the supreme reality cannot be grasped by the mind or expressed in speech, but it recommends the worship of a personal deity. Even the older parts of the poem appear to be considerably later than Buddhism. But its mythology, if not Vedic, is also hardly Puranic and it knows nothing of the legends about the pastoral Krishna. It presupposes the Sâṅkhya and Yoga, though in what stage of development it is hard to say, and in many respects its style resembles the later Upanishads. I should suppose that it assumed its present form about the time of the Christian era, rather before than after, and I do not think it owes anything to direct Christian influence. In its original form it may have been considerably older. The Bhagavad-gîtâ identifies Krishna with Vâsudeva and with Vishnu but does not mention Nârâyana and from its general style I should imagine the Nârâyaniya to be a later poem. If so, the evolution of Bhâgavata theology will be that Krishna, a great hero in a tribe lying outside the sphere of Brahmanism, is first identified with Vâsudeva, the god of that tribe, and then both of them with Vishnu. At this stage the Bhagavad-gîtâ was composed. A later current of speculation added Nârâyana to the already complex figure, and a still later one, not accepted by all sects, brought the pastoral and amorous legends of Krishna. Thus the history of the Bhâgavatas illustrates the Indian disposition to combine gods and to see in each of them only an aspect of the one. But until a later period the types of divinity known as Vishnu and Śiva resisted combination. The worshippers of Śiva have in all periods shown less inclination than the Vishnuites to form distinct and separate bodies and the earliest Śivaite sect of which we know anything, the Pâśupatas,  arose slightly later than the Bhâgavatas. These last words hint that the Pâśupatas laid themselves open to criticism by their extravagant practices, such as strange sounds and gestures. But in such matters they were outdone by other sects called Kâpâlikas or Kâlâmukhas. These carried skulls and ate the flesh of corpses, and were the fore-runners of the filthy Aghoris, who were frequent in northern India especially near Mount Abu and Girnar a century ago and perhaps are not yet quite extinct. The biographers of Śankara  represent him as contending with these demoniac fanatics not merely with the weapons of controversy but as urging the princes who favoured him to exterminate them. Peculiar to Śaiva theology is the doctrine of the five kañcukas  or envelopes which limit the soul. Spirit in itself is free: it is timeless and knows no restrictions of space, enjoyment, knowledge and power. But when spirit is contracted to individual experience, it can apprehend the universe only as a series of changes in time and place: its enjoyment, knowledge and power are cramped and curtailed by the limits of personality. The terminology of the Śaivas is original but the theory appears to be an elaboration of the Pâncarâtra thesis that the soul is surrounded by the sheath of Mâyâ. The early literature of the worshippers of Śiva (corresponding to the Samhitâs of the Pâncarâtras) appears to have consisted of twenty-eight works composed in Sanskrit and called Âgamas. There is fairly good evidence for their antiquity. Tirumular, one of the earliest Tamil poets who is believed to have lived in the first centuries of our era, speaks of them with enthusiasm and the Buddhist Sanskrit works  called Âgamas (corresponding to the Pali Nikâyas) cannot be later than that period. It is highly probable that the same word was in use among both Hindus and Buddhists at the same time. And since the Mahâbhârata mentions the Pâśupatam, there is no difficulty in supposing that expositions of Śivaite doctrine were current in the first century A.D. or even B.C. But unless more texts of the Âgamas come to light the question of their age has little practical importance, for it is said by native scholars that of the twenty-eight primary books there survive only fragments of twenty, which treat of ritual, besides the verses which form the text expounded at length in the Śivañânabotham. There are also said to be 120 Upâgamas of which only two or three have been preserved entire. Of these two have been printed in part, the Mrigendra and Paushkara. The former is cited in the Sarva-darśana-saṅgraha (about 1330) but does not show any signs of great antiquity. It is thus clear that the Âgamas are not much studied by modern Śivaites but it is unhesitatingly stated that they are a revelation direct from Śiva and equal to the Veda  and this affirmation is important, even though the texts so praised are little known, for it testifies to the general feeling that there are other revelations than the Veda. But the Vedas, and the Vedânta Sûtras are not ignored. The latter are read in the light of Nîlakantha's  commentary which is considered by south Indian Pandits to be prior to Śankara. See Grierson's articles Gleanings from the Bhaktamâlâ in J.R.A.S. 1909-1910. E.g. Mârkandeya, Vâmana and Varâha. Also the Skanda Upanishad. Mahâbh. Vanaparvan, 11001 ff. The Bhâgavata Purâna, Book IV. sec. 2-7 emphasizes more clearly the objections of the Rishis to Śiva as an enemy of Vedic sacrifices and a patron of unhallowed rites. Mahâbh. XII. sec. 283. In the same way the worship of Dionysus was once a novelty in Greece and not countenanced by the more conservative and respectable party. See Eur. Bacchae, 45. The Varâha-Purâna relates that the Śivaite scriptures were revealed for the benefit of certain Brahmans whose sins had rendered them incapable of performing Vedic rites. There is probably some truth in this legend in so far as it means that Brahmans who were excommunicated for some fault were disposed to become the ministers of non-Vedic cults. Mahâbh. II. secs. 16, 22 ff. Drona-p., 2862 ff. Anusâsana-p., 590 ff. E.g. Anusâsana P., 6806 ff. E.g. the Ahirbudhnya Samhitâ and Adhyâtma Râmâyana. Śântipar. cccxxxvii, 12711 ff. In the Bhagavad-gîtâ Krishna says that he is Vâsudeva of the Vrishnis, XI. 37. Cf. the title Bhâgavata Purâna. Ekâyana is mentioned several times in the Chândogya Up. (VII. 1, 2 and afterwards) as a branch of religious or literary knowledge and in connection with Nârada. But it is not represented as the highest or satisfying knowledge. Even in the Śatapatha Br. Nârâyana is mentioned in connection with a sacrifice lasting five days, XIII. 6. 1. The Samhitâs hitherto best known to orientalists appear to be late and spurious. The Brihadbrahma Samhitâ published by the Anandasrama Press mentions Râmânuja. The work printed in the Bibliotheca Indica as Nârada Pâncarâtra (although its proper title apparently is Jñânamritasâra) has been analyzed by Roussel in Mélanges Harlez and is apparently a late liturgical compilation of little originality. Schrader's work was published by the Adyar Library in Madras, 1916. Apparently the two forms Pâncarâtra and Pâncarâtra are both found, but that with the long vowel is the more usual. Govindâcârya's article in J.R.A.S. 1911, p. 951 may also be consulted. The oldest are apparently the Paushkara, Vârâha, Brahma, Sâttvata, Jaya and Ahirbudhnya Samhitâs, all quoted as authoritative by either Râmânuja or Vedânta Deśika. It is quoted as equal to the Vedas by Yâmunâcârya, so it must then have been in existence some centuries. The story of Śvetadvîpa or White Island in the Śânti-parvan of the Mahâbhârata states definitely that Nârada received the Pâncarâtra there. There is much diversity of statement as to whether there are one or many Śaktis. Vishnu is the name of God in all his aspects, but especially God as the absolute. Vâsudeva is used both of God as the absolute and also as the first emanation (Vyûha). Jñâna, aiśvarya, śakti, bala, vîrya, tejas. These are called gunas but are not to be confounded with the three ordinary gunas. The words seem to have been originally proper names. See the articles in the Petersburg Lexicon. Nârâyana like Vishnu is used to designate more than one aspect of God. Sometimes it denotes the Absolute. The above brief sketch is based on Schrader's Int. to the Pâncarâtra where the reader can find full details. Comment on Vedânta sûtras, II. 2. 42. And, as Schrader observes, the evolutionary system of the Pâncarâtra is practically concerned with only one force, the Śakti, which under the name Bhûti is manifested as the Universe and as Kriyâ vitalizes and governs it (p. 31). On Sutta-nipâta, 790, 792. The doctrine of the Vyûhas is expounded in the Mahâbhârata Śântip. CCCXL. 36 ff., 70 ff. ; CCCXLI. 26 ff. Lüder's List of Brahmi inscriptions, No. 6, supposed not to be later than 200 B.C. and No. 1112 supposed to be of the first century B.C. Sankarshana is also mentioned in the Kautilîya Arthaśâstra, XIII. 3. Some Samhitâs emphasize the distinction between the followers of the Veda and the enlightened ones who worship the Lord. See Schrader, Pâncarâtra, p. 97. Syâm iti Sankalpa, Ahirbudh. Sam. II. 7. In some late Upanishads (e.g. Nâradaparivrâjaka and Brihatsannyâsa) Cakrî is used as a synonym for a Pâncarâtra. The same is true of Râmânuja, who never quotes the Bhâgavata Purâna. See the quotations from the Sâttvata Samhitâ in Schrader, pp. 150-154. As in the Pâncarâtra there is the Para above the four Vyûhas, so some late forms of Buddhism regard Vairocana as the source of four Jinas. The Manicheans also had groups of five deities (see Chavannes and Pelliot in J.A. 1913, I. pp. 333-338) but they are just as likely to have borrowed from Buddhism as vice versâ. See Bhattacharya, Hindu Castes and Sects, p. 565. Manu, I. 10-11, identifies him with Brahmâ and says, "The waters are called Nârah because they are produced from Nara, and he is called Nârâyana because they were his place of movement (ayana)." The same statement occurs in the Nârâyanîya. They are said to have been the sons of Dharma (religion or righteousness) and Ahimsâ (not-injuring). This is obvious allegory indicating that the Bhâgavata religion rejected animal sacrifices. At the beginning of the Nârâyanîya (Śântip. cccxxxv.) it is said that Nârâyana the soul of the universe took birth in a quadruple form as the offspring of Dharma, viz. Nara, Nârâyana, Hari and Krishna. Nara and Nârâyana are often identified with Arjuna and Vâsudeva. E.g. Udyogap. xxlx. 19. It is an episode in Mahâbhâr. VI. and in its present form was doubtless elaborated apart from the rest. But we may surmise that the incident of Krishna's removing Arjuna's scruples by a discourse appeared in the early versions of the story and also that the discourse was longer and profounder than would seem appropriate to the European reader of a tale of battles. But as the Vedânta philosophy and the doctrine of Krishna's godhead developed, the discourse may have been amplified and made to include later theological views. Garbe in his German translation attempts to distinguish the different strata and his explanation of the inconsistencies as due to successive redactions and additions may contain some truth. But these inconsistencies in theology are common to all sectarian writings and I think the main cause for them must be sought not so much in the alteration and combination of documents, as in a mixed and eclectic mode of thought. Even in European books of the first rank inconsistencies are not unknown and they need not cause surprise in works which were not written down but committed to memory. A poet composing a long religious poem in this way and feeling, as many Hindus feel, both that God is everything and also that he is a very present personal help, may very well express himself differently in different parts. On the other hand the editors of such poems are undoubtedly tempted to insert in them later popular doctrines. The name appears not to be in common use now, but the Pâśupata school is reviewed in the Sarva-darśana-saṅgraha (c. 1330). Śivabhâgavata, see his comment on Pânini, V. 3. 99 and V. 2. 76. The name is remarkable and suggests that the Śivaites may have imitated the Bhâgavatas. I. xxiii. 209. The Bibliotheca Ind. edition reads Nakulì. Aufrecht (Bodl. MSS.) has Lakulî. The same story is found in Linga P. chap. XXIV. Lakulî is said to have had four pupils who founded four branches. Lakulin does not play an important part in modern Śivaism but is mentioned in inscriptions from the tenth till the thirteenth centuries. The Sarva-darśana-saṅgraha describes the Nakulîśa-Pâśupata system and quotes Nakulîśa who is clearly the same as Lakulin. The figures on Kushan coins representing Śiva as holding a club may be meant for Lakulin but also may be influenced by Greek figures of Herakles. See for Lakulin Fleet in J.R.A.S. 1907, pp. 419 ff. and Bhandarkar Vaishnavism and Śaivism, pp. 115 ff. The coins of Wema Kadphises bear the title Mahiśvara, apparently meaning worshipper of the Great Lord. Temples in south India seem to have been named after Kâyârohana in the seventh century A.D. See Gopinâtha Rao, Hindu Iconography, II. p. 19. Mahâbhâr. XII. 13702 ff. It is recited by Daksha when he recognizes the might of Śiva after the unfortunate incident of his sacrifice. Śânti-parvan, section cclxxxv especially line 10, 470 ff. See Sarva-darśana-saṅgraha, chap. VI. and the comments of Râmânuja and Śankara on Vedânta Sûtras, II. 2. 36. E.g. Śaṅkara-dig-vijaya. The first notice of these sects appears to be an inscription at Igatpuri in the Nâsik district of about 620 A.D. recording a grant for the worship of Kapaleśvara and the maintenance of Mahâvrâtins (= Kàpàlikās) in his temple. But doubtless the sects are much older. The principal are, the Pâśupatas, the Śaivasiddhântam of southern India and the Śivaism of Kashmir. The Sarva-darśana-saṅgraha, chap. VII. gives a summary of it. The Pâśupatas seem to attach less importance to this triad, though as they speak of Pati, Paśu and the impurities of the soul there is not much difference. In their views of causation and free will they differed slightly from the Śaivas, since they held that Śiva is the universal and absolute cause, the actions of individuals being effective only in so far as they are in conformity with the will of Śiva. The Śaiva siddhânta however holds that Śiva's will is not irrespective of individual Karma, although his independence is not thereby diminished. He is like a man holding a magnet and directing the movements of needles. There is some difference of language and perhaps of doctrine on this point in various Śivaite works. Both Śivaites and Pâncarâtrins sometimes employ the language of the Advaita. But see Schrader, Int. to Pâncarâtra, pp. 91 ff. The five Kañcukas (or six including Mâyâ) are strictly speaking tattvas of which the Śaivas enumerate 36 and are kâla, niyati, râga, vidyâ and kalâ contrasted with nityatva, vyâpakatva, pûrnatva, sarvajnatva, sarvakartritva which are qualities of spirit. See Chatterji, Kashmir Śaivism, 75 ff., 160, where he points out that the Kañcukas are essentially equivalent to Kant's "forms of perception and conception." See too Schrader, Int. to Pâncarâtra, 64, 90, 115. See for names and other details Schomerus, Der Śaiva-Siddhânta, pp. 7, 23: also many articles in the Siddhânta-Dipika. They are taken from the Âgama called Raurava. The Śivaites of Kashmir appear to have regarded the extant Śiva-sûtras as an Âgama. The Sanskrit text and translation of the Mrigendra are published in the Siddhânta-Dipika, vol. IV. 1901 ff. It is sometimes described as an Upâgama and sometimes as the Jñânapâda of the Kâmika Âgama. So Tirumûlar. Nîlakantha in his commentary on the Vedânta Sûtras says: "I see no difference between the Veda and the Śaivâgama." Or Śrîkantha. The commentary is translated in Siddhânta-Dipika, vol. I. ff. In spite of sectarian views as to its early date, it seems to be influenced by the views and language of Râmânuja.